New textbook on INSECT BEHAVIOUR - the lab contributed a chapter on Insect Visual Communication! — U.M.B.E.R.S. Here you will find the latest news from our lab! You can also follow @UmbersLab on twitter, follow Kate on Twitter (@KateUmbers), or find us on Facebook www.facebook.com/UmbersLab. We also have a Vimeo feed and an Instagram feed, but we’re still figuring those out. 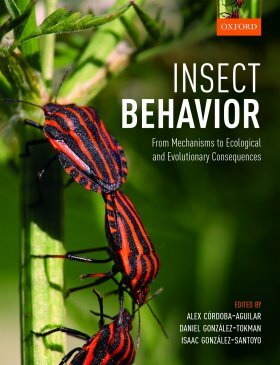 New textbook on INSECT BEHAVIOUR - the lab contributed a chapter on Insect Visual Communication!